The possibilities for modding such a gigantic, complex game are, frankly, mind-bending. But if modding isn’t really your bag, Square Enix have also been hard at work pushing the game well beyond what’s possible on current-gen consoles. This new trailer shows off the Windows Edition, in all its 4K glory. The trailer highlights some of the features introduced into Final Fantasy XV for high-spec PC players. Running at “ultimate quality,” this includes 4K textures and implementation of a bunch of Nvidia’s latest tech, like TurfEffects, HairWorks, and their latest ambient occlusion technique, VXAO. There’s also a new trailer for the game’s Comrades multiplayer expansion, which will arrive alongside Final Fantasy XV’s Windows launch with an update to version 1.2.0. You can read the full stories on mod support and the new trailers over at PC Gamer. 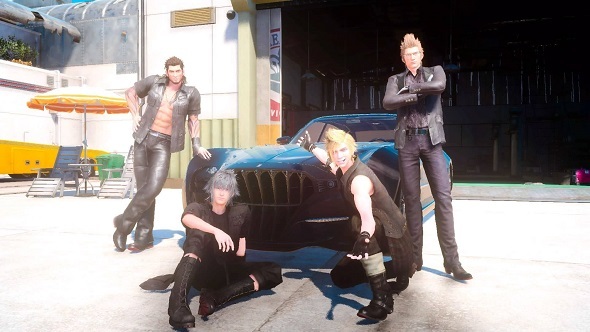 Final Fantasy XV comes out for PC March 6.